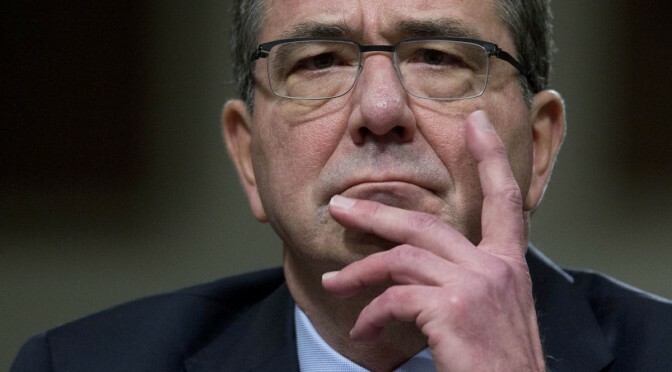 On Tuesday Dr. Ashton Carter begins his tenure as Secretary of Defense. While many observers regard Dr. Carter as a caretaker nominee tasked to mildly manage the Department of Defense (DOD) during the President’s last two years of office, the experienced and capable Dr. Carter has the potential to do much more. His strategy as Secretary should have three priorities. First, Dr. Carter must develop new concepts and field new capabilities necessary to assure the ability of the United States to deter and defeat aggression, in particular by China. While the U.S. military was largely focused on Iraq and Afghanistan, China developed formidable Anti-Access/Area Denial (A2/AD) capabilities that threaten U.S. allies and partners in the vital Asia-Pacific region and complicate U.S. operations. While multiple states, including Russia and Iran, are fielding A2/AD capabilities, and while A2/AD capabilities may continue to proliferate globally, the ability of the United States to deter and defeat Chinese aggression serves as a bellwether for U.S. capabilities worldwide. 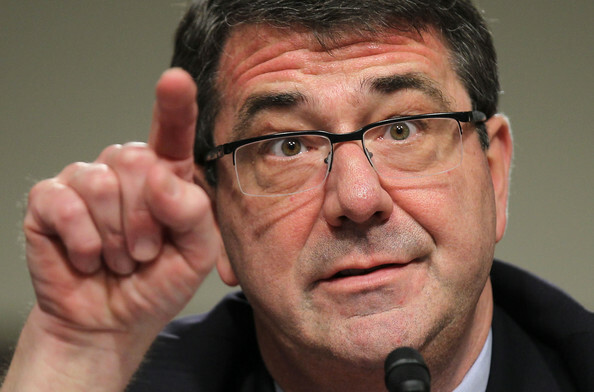 In response, Dr. Carter should articulate to the public that China will serve as DOD’s pacing threat and that DOD’s recently unveiled Third Offset Strategy will seek to counter Chinese capability, just as the First and Second Offset Strategies countered Soviet capabilities. While many of the activities of the Third Offset Strategy should be classified, two key indices can serve as palpable indicators of progress. First, whether funding is reapportioned from the Army to the departments most relevant in a conflict with China: the Air Force and the Navy. Dr. Carter will have the Fiscal Year 2017 budget to do so. Secondly, within the Services, DOD must adequately fund and accelerate programs relevant in the most operationally stressing scenarios involving China. In many cases, these are crucial capabilities that the Services have been slow to develop for a variety of reasons. For instance, for the Navy, the ability to rapidly reload weapons while underway at sea; for the Air Force, a credible effort to harden and disperse airfields throughout the Western and Central Pacific; and, for the Army, the development of conventional intermediate-range offensive missiles similar to those currently fielded by China (and possibly Russia). Dr. Carter’s second priority should be advocating for the nation to return defense spending to pre-sequestration levels. Former Secretary of Defense Leon Panetta warned that allowing sequestration to happen would be like, “Shooting ourselves in the head.” The Department’s own Quadrennial Defense Review warned that, under sequestration-level cuts, risks to our nation “would grow significantly.” After these cuts took place, DOD slashed readiness and force structure in order to preserve a modicum of modernization funding. This has resulted in an increasingly hollow force incapable of appropriately facing the nation’s increased scale of threats in Eastern Europe, the Middle East, and the Western Pacific. While increased funding for DOD alone is insufficient, it is perhaps Dr. Carter’s most challenging priority given a seeming lack of interest and will in Congress and the White House. His third priority should be ensuring DOD funds are spent efficiently. The dramatic rise in DOD overhead costs, such as pay, benefits, and bases, is crowding out funding available for warfighting. This is producing a military that is better compensated than ever before, but dangerously unprepared for a major war. Dr. Carter must convince the President and Congress to enact significant military compensation reform and a new round of Base Realignment and Closure (BRAC). The opening of hearings on the congressionally-mandated Commission on Military Compensation and Retirement Modernization represents a bipartisan opportunity for Congress to take action against spiraling personnel costs. As with a new round of BRAC, Congress will need to demonstrate bipartisan leadership to overcome pressure from interest groups, allay the concerns of current and retired military members, and enact these essential reforms. The security challenges facing our nation are numerous and unrelenting, not the least of which is continued combat in Afghanistan. With only two years in office, it is unlikely Dr. Carter will be able to reform the entire defense enterprise and address every threat. However, by focusing on these three priorities, he can surprise skeptics and set the DOD on the right course to appropriately providing for our nation’s defense. Timothy A. Walton is a principal of Alios Consulting Group, a Washington, DC-based defense and business strategy consultancy. He specializes in Asia-Pacific security dynamics. The inevitable fiscal crunch that is staring the U.S. military down has the Pharisees of the defense industry, think tanks, and senior military leaders all rabble-rousing about the need for change. Some of that change is strategic. Asia Pacific pivot anyone? Other bits of it reside in the acquisitions department, as we see with the pros and cons of developing “revolutionary” weapons systems to confront “new” threats. The most harrowing changes for military leaders are the all too well known cuts to manpower that will come in some fashion, no matter the logic, or lack thereof, which delineates how those cuts will happen. There is more change in the air than cordite after an end of fiscal year shooting range, but it is important to reflect on some history in order to avoid stepping on the same proverbial rakes that have smacked our national security establishment in the face during previous draw-downs. Editors Note: It WOULD be nice if the USN would go to these. Ideas like this one are an especially pervasive form of bad, and seem unable to die even when history proves them inadvisable. We saw the call for unification in President Eisenhower’s attempts to reevaluate our national security establishment in light of the massive technological, strategic, and social changes that occurred after World War Two. It was vital to acknowledge the necessity of change in that period, because much like Eisenhower’s dictum on planning, self-examination is vital even if most of the individual recommendations may turn out to be worthless. Reconsidering defense in light of nuclear weapons, ICBMS, and the bi-polar nature of security dilemmas when facing the Soviet Union was important. Trusting academic tea-leaf readers in their assessments and then proclaiming there would “never be another amphibious landing”, that ground forces would not be used in limited wars, and that tactical airpower was only needed to defend or shoot down strategic airpower looks downright foolhardy when viewed as historical record. What saved us from the march to a monolithic Star Fleet force that all wore the small uniforms and all died like red shirts landing on Klingon? The pluralistic competition of our service structure, which was inefficient and far from perfect, but possessed a flexibility that made it anti-fragile. Separate services, even separate services that possess redundant capabilities, are a vital part of American national defense. The Army needs the Marine Corps to soak up public attention as a motivation for better performance as badly as the Marine Corps need the Army to keep its constant self worry about irrelevance and drive its performance. Those intangible reasons can be criticized as they are not measurable, but of direct consequence are the different service outlooks which spurn actual innovation. 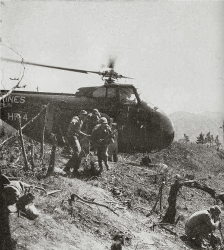 The Marine Corps decided it would gladly incorporate vulnerable and unwieldy rotary aircraft that Army and Air Force leaders largely ignored during Korea, and in doing so enabled the much better resourced Army to perfect the techniques of vertical envelopment to a higher degree than it ever could in Vietnam. The Navy had to have an Air Force that threatened its budget in order to develop SSBNs, and not pursue the much less effective option of carrier borne strategic bombers. Our most recent wars have shown the truth that a market place of defense ideas is better than a command economy for strategy. 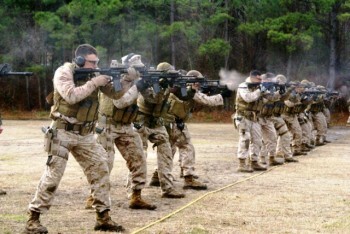 While the Marine Corps stubbornly resisted SOCOM membership, the other services gladly perfected the techniques needed to combat global terrorism in the learning laboratories of Somalia, Bosnia, Afghanistan, and Iraq. Those were bloody lessons, but proved that some enemies cannot be defeated by large MEUs waiting off shores, although the synergy created between such a force and SOCOM has proven to be vital, and continues to pay national security dividends. Service diversity even ensures we do not forget lessons learned in blood that may seem inefficient during peacetime arguments on Capitol Hill. Even the best planners can shortchange things that are easily forgotten as peace breaks out. Something as boring as oil platform protection is a skill the world’s preeminent Navy forgot, and had to relearn from the worlds 12th largest navy (the U.S. Coast Guard). There is known historical value and definite future value in keeping a diverse and flexible force, but to do so one must resist the urge to unify in the name of declining dollars. Cost savings are easy to evaluate in peacetime dollars, but take on a morbid tone when seen in defeat and death at the opening stages of a conflict. Clearly such an arrangement has inefficiencies, and wasting taxpayer dollars in the worst economy in years should be viewed as criminal no matter if the DOD is committing the waste or not. Grenada, Desert One, and Vietnam all demonstrated the tragic human cost of pursuing service parochialism over higher interests. Such costs have been mitigated in part by the Goldwater-Nichols act of 1986. Goldwater-Nichols is far from perfect and could use an upgrade to incorporate recent lessons from the Long War. Jointness in our operations, communications, and interoperability is a good thing. Understanding perspective, knowing how the whole of the military functions instead of just one’s own slice, and speaking the language of service peers are also good things. Making claims that bureaucratic restructuring to “align” and “combine” are fools errands, they repeat the mistakes that were almost made in trying to tear down an organic system. Our current force has grown through invaluable combat experience, to replace it with a theoretical framework that has never worked is a bad idea of immense magnitude. There have been examples of “unified” militaries, look at Saddam’s Republican Guard, it clearly combined the best equipment, personnel, and training available to fulfill “civilian” leadership’s strategic wishes. Such a system is horribly fragile, and succumbs to the groupthink that all bureaucracies do. In this age of belt tightening, we should correctly become more efficient, but there are better ways than throwing out everything and starting from scratch. Reexamining our bloated personnel policies, taking a hard look at our compensation and retirement systems that resemble ticking fiscal bombs, and revamping our professional military education are all better places to start than tired and historically bankrupt calls for the “merger of …[U.S.]…ground forces”. The diversity of thought which comes from each service is one of the strongest weapons our joint force possesses, it would be wise to avoid dulling such fine tool so we can save dollars only to spend lives unnecessarily in a future conflict. CDR Salamander joins Matt and Grant for a podcast on writing as a member of the military, anonymity, and some sacred cows military planners hold dear: benefits, high-end systems, equal budgeting, etc… Join us for Episode 8, Sacred Cows and Amphibians (Download). Sea Control comes out every Monday. Don’t forget to subscribe on Itunes and Xbox Music! Part of our Sacred Cow series, originally posted at USNI Blog. Speaking at the Association of the United States Army on the 12th, Admiral James Winnefeld, the Vice Chairman of the Joint Chiefs of Staff, told the audience that in future ground wars the tempo will be “shorter, faster-paced and much harder” because America’s adversaries will work to create a “fog of war.” Thus, the Admiral suggested that the Army “place more emphasis on the growth industry…of protecting American citizens abroad” in order to adapt to the fluid geostrategic environment. 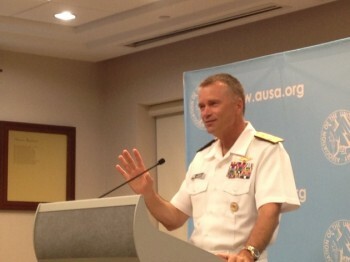 VCJCS Admiral James Winnefeld speaking at the Association of the United States Army on September 12th. Indeed, since the sequestration went into effect in March, many defense experts have been debating what the future may hold for the Army, the Marine Corps and the Special Operations Command (SOCOM). Whatever their respective views may be on the utility of landpower in future wars, all seem to agree on one thing: that in the sequestration era, the ground components must fight leaner and smarter. However, if the United States Armed Forces is truly concerned about raising a cost-efficient and versatile ground force, it can merge the Army, the SOCOM and the Marine Corps into one unified service branch. This idea is not new. As far back as 1994, the late Colonel David Hackworth advocated the merger of the Army and the Marine Corps because their missions seemed to overlap. He went so far as to claim that the Department of Defense (DoD) could save “around $20 billion a year.” Nevertheless, absent in Hackworth’s column was a coherent blueprint for how the DoD could effectively unify its ground components into a cohesive service because Hackworth did not flesh out his strategic vision for what 21st Century wars may look like. Thus, this newly merged service must redirect its focus towards countering cyber warfare and CBRNe (Chemical, Biological, Radiation, Nuclear and explosives) attacks and should work towards bolstering its counterterrorism (CT) capabilities. This is because, due to the convergence of the global community, the United States may be vulnerable to attacks from within by homegrown terrorists and drug cartels—all of which may wreak havoc and may even cripple America’s domestic infrastructures. Reorientation of its mission focus may also require that the new service reconfigure its size. After all, as Chairman of the Joint Chiefs of Staff, General Martin Dempsey wrote in Foreign Affairs, “Washington should remember that the size of the armed forces is not the most telling metric of their strength.” One solution is to adopt the so-called “Macgregor Transformation Model (MTM)” centered around the combat group concept which may reduce the strength of the new service “yet in the end produce a force that has greater combat capability…[and] more sustainable.” This model may provide the United States with a deployable fire brigade in the event of a national emergency or an international crisis. Already, the bases from which to adopt this viable model exist in the form of Army brigade combat teams (BCTs) and Marine Air-Ground Task Forces (MAGTFs) of various sizes. Should the United States decide that it needs to project its hard power abroad to guard its interests, it could deploy the Special Operations Forces (SOF) components of the new service in tandem with UAV (Unmanned Aerial Vehicles) to selectively target and neutralize potential threats. While the SOF and UAV surgical raids should not be viewed as substitutes for deft diplomacy, they can provide cheaper and selective power projection capabilities. Moreover, doing so could minimize the risks inherent in power projection and anti-access/area denial (A2/AD) missions which may potentially mire the United States in messy and protracted conflicts. Last but not least, this new service could buttress interoperability and capabilities of allied forces around the globe through military-to-military exchanges. Although Deni was referring specifically to the Army-led initiatives when he suggested this, he may be correct that military-to-military engagements may help to promote America’s image abroad as a trusted guarantor of peace. But even more important, such activities may “mean fewer American boots on the ground.” However, implementing what the retired Marine General James Mattis refers to as the “proxy strategy” may be a better means by which the United States could “lead from behind.” Under this arrangement, while “America’s general visibility would decline,” its allies and proxies would police the trouble spots on its behalf. Contrary to what many in the defense establishment believe, the austerity measures wrought by the sequestration have not been entirely negative. If anything, this perceived “crisis” has provided the much-needed impetus for innovative approaches to national defense. The proposed merger of the ground forces may provide the United States with most cost-effective and versatile service branch to defend the homeland and safeguard its interests abroad. Jeong Lee is a freelance writer and is also a Contributing Analyst for Wikistrat’s Asia-Pacific Desk. Lee’s writings on US defense and foreign policy issues and inter-Korean affairs have appeared on various online publications including East Asia Forum, the Georgetown Journal of International Affairs, the World Outline, CIMSEC’s NextWar blog and RealClearDefense.